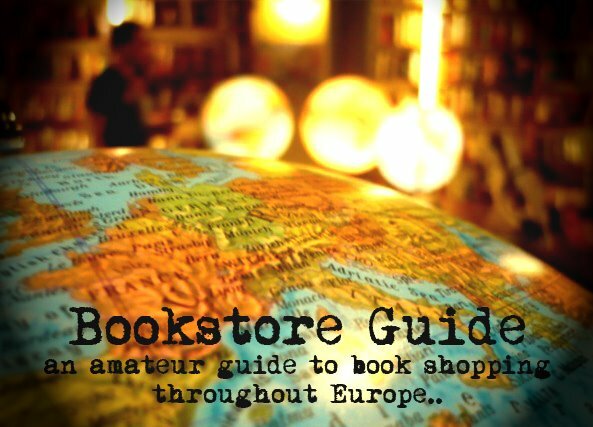 Henri said: "Daunt books in London has the best travel section imaginable." 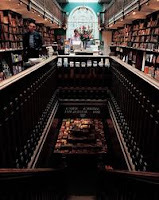 There are several things about this store which make it stand out even in the tough competition of other great bookstores in London. 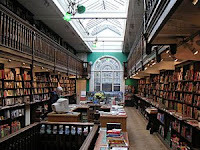 This independent bookstore is almost unanimously regarded as THE travel bookstore, and its reputation reaches well beyond London. However, the front section of the store offers a wide selection of fiction and non-fiction, which can hardly be accused of lacking anything. A special children’s section, wonderfully flooded by natural light, makes this place a favorite destination not only for lonely book hunters but also for parents with kids. The pride of this bookstore is the back part, which contains three whole floors of any possible topic linked to traveling. The second-hand section is also located in the back part. Another particularity of the store lies in its way of arranging books – all the books, including novels, poetry, biographies and everything else, are arranged according to countries. Located in a beautiful building in one of London’s posh streets. The interior of the store is even more impressive, reminiscent of the Edwardian era, with its unique long galleries. The store is also known for holding public readings and numerous talks with authors.